Home » Fuchsia of the week » ‘Paul Berry’ is the Fuchsia of the Week 19/2015. Caring for these many Triphylla Fuchsias she gained a lot of expertise and, in 1983, crossbred with “Challenge” the first white Hybrid of this species, truly a sensation at that time. 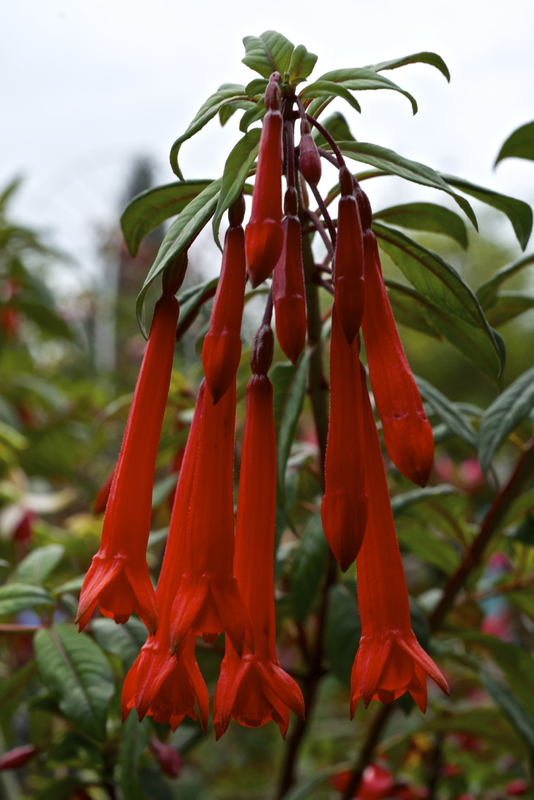 This Fuchsia of the Week was crossbred however from the red triphylla “F. magdalenae” and the red hybrid “Tom Zanoni”- as well crossbred by her- and she introduced the hybrid in 1991. 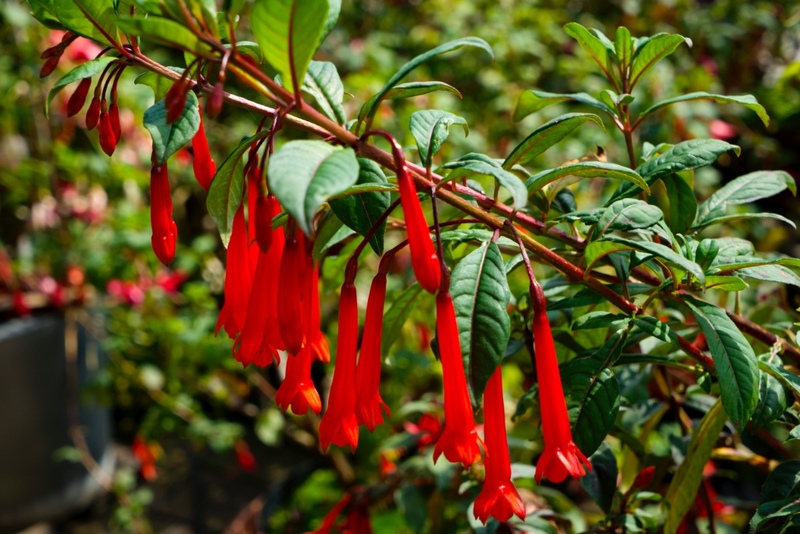 It was named after the renown Fuchsia-Expert and Explorer Dr. Paul E. Berry from Missouri, who was especially fond of- again- “F. Magdalenae”. This explorer did not only travel a lot to describe the wild growing plants, but- by doing so- did find new species of the Fuchsias, his enthusiasm ever growing. He is without doubt more than worthy to be honored by this beautiful Triphylla-Hybrid! It was good luck that my husband got me interested in this hybrid straight away by showing it to me during a visit of the Fuchsia-Nursery Gutmann at Vienna. Of course i bought it right away. Back home the plant was placed in a sunny location and did grow amazingly fast and straight upright, while the branches were bent down diagonally by the abundantly and non-stop growing blossoms in a light orange color. It took quite some water to accomplish that- with low concentration of fertilizer till end of august. And- again- during the winter in the greenhouse i did find by regular visits that this hybrid does certainly need more watering than others not to dry out completely. Now, in May, it does not flourish, but i am looking forward to the upcoming season.